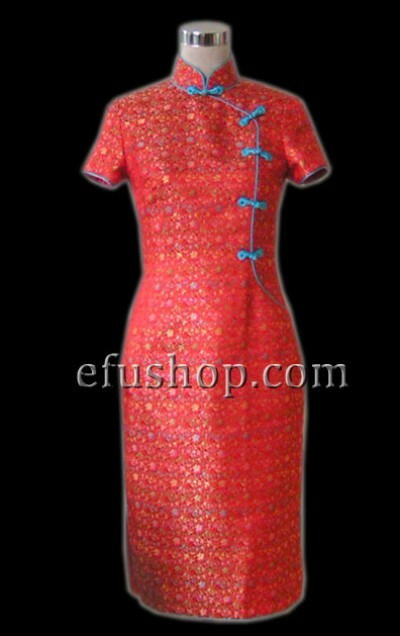 Description: Mandarin collar with opening at the left. Five lute buttons on the opening. Blue single piping. Short sleeves, Calf length. Fine tailoring, will fit you well!